Winner of a Pulitzer Prize and multiple Grammy awards, William Bolcom is one of America’s leading composers, with a prolific and widely performed catalogue. Written for tenor Plácido Domingo, Canciones de Lorca explores the full variety of that Spanish poet’s surrealistic humour, passion and mystery, as well as invoking the Andalusian flamenco and popular song-lyric atmosphere the composer feels is latent in each poem. 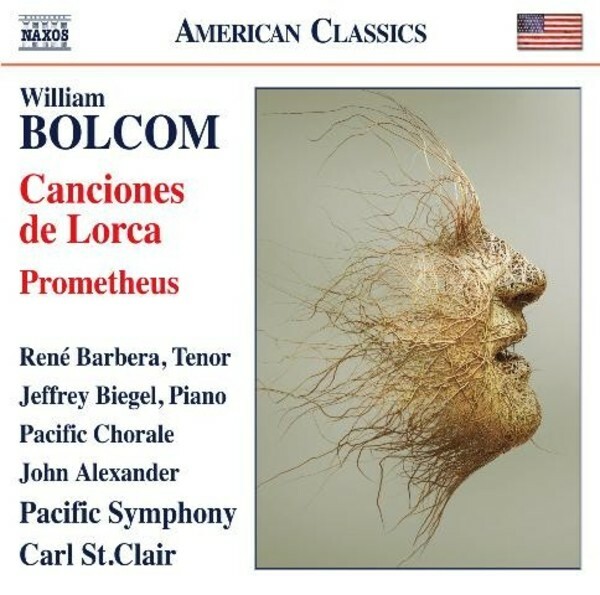 Bolcom interprets the legend of Prometheus as a metaphor for our turbulent times, starkly examining how we are chained to a rock of technological dependency but dedicating his work to hope and a peace derived from greater universal understanding.